The ultimate fate of the Federal Communications Commission chairman Tom Wheeler’s proposal to close the ownership loophole on TV stations joint sales agreements may lie with fellow Democratic commissioner Mignon Clyburn. Scheduled for a vote at the end of the month, the item has split the five commissioners along party lines with both GOP commissioners Ajit Pai and Mike O’Rielly speaking out strongly against the proposal. So Wheeler needs both Democratic commissioners in order to advance the new rule that would tighten ownership rules on TV stations. But as written, the proposed rule is not a slam-dunk with Clyburn. 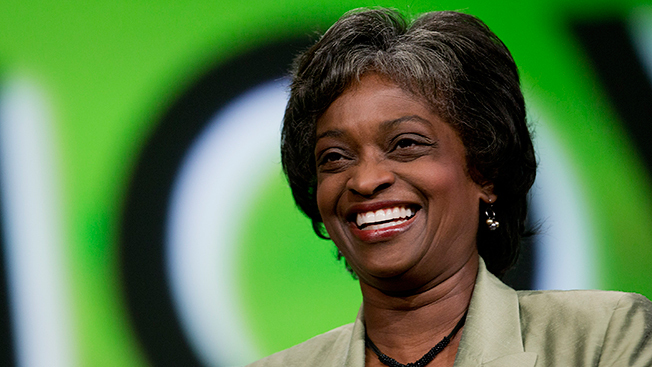 A number of examples where joint sales agreements that have aided minority broadcasters, as well as support from minority organizations, have left Clyburn trying to seek a middle ground. “There are abuses, but there are also opportunities we want to nurture. You’ll see a pathway towards a balanced process. They are not mutually exclusive,” Mignon said during the Free State Foundation’s annual telecom policy conference today. Though Clyburn was coy about specifics, it was clear that if Wheeler wants her vote, he will probably need to make a few tweaks before March 31.